I am honored to have the privilege of serving in the NC House of Representatives. I decided to run for public office because I felt as if North Carolina needed a new direction. We needed to bring a more responsible approach to the operations of state government. Since taking office, I have worked to support legislation that will make government more efficient and allow the private sector to grow. As a fiscal conservative, I believe that it is the private sector, not the government, that creates opportunities for our citizens. That is why I have made it a goal to take a responsible, pro-business approach to solve the problems facing our state. Jon was born and raised in Greensboro, NC as the only child of Wayne and Carolyn Hardister. He is a graduate of Grimsley High School and Greensboro College, where he obtained a B.A. in Political Science. After college Jon went to work as the Vice President for Marketing at First Carolina Mortgage, a small business that is owned and operated by his family. His family's business, just like many others, was severely impacted by the Great Recession. This experience, along with his concern for our State's future, is primarily what inspired Jon to run for office. 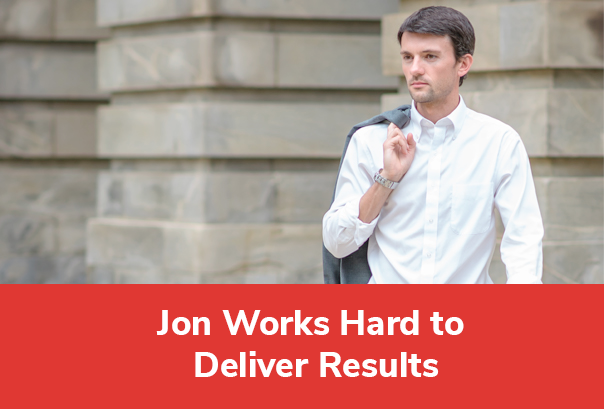 Since taking office Jon has proven to be one of the most effective leaders in the General Assembly. He has passed numerous bills, chaired committees and received several awards for his work. His colleagues elected him to serve as the NC House Majority Whip, which is one of the top leadership positions in the General Assembly. In his spare time, Jon enjoys spending time with his family, working out, reading, playing golf, and playing guitar. North Carolina's economy is doing very well as we move into the 21st century. By reforming our tax code and working to make government more efficient, we have created a strong economic environment in our State. Since taking office, I have worked with colleagues on both sides of the aisle to help promote sensible legislation. Working to improve public education is something that I have taken very seriously. It is important that we promote sound educational opportunities for our children, and I will continue working to achieve. Help Jon Hardister continue his fight to serve North Carolina families.